A simple "U" shaped padlock shackle inspired me to invent other use applications allowing vertical up and down orientation of padlock using a wider and stronger hasp. Easily secures a laptop computer, cell phone, tablet or other electronic like or not devices providing a thicker and stronger padlock hasp. Mon, 13 Dec 2010 Oh my god!!! This lock is the BEST!!! You should market it. Thank you so much! Can I get another one? Maybe 2 more? I'll pay for them this time! Such a smart design. I'm impressed. Sat, 14 Nov 2009 Dear Padlock inventor, I too have recently looked at the padlock patents and it is indeed pathetic what the conventional companies continue to sell. Tue, 02 Sep 2008 I have to admit that those shackles certainly seem very similar to me, but the threshold of "novelty" for design patents is pretty low. 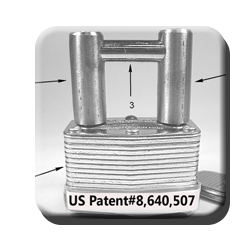 There's no functional difference between a lock with a round shackle and one with an octagonal cross-section - but functional difference is exactly what design patents are NOT intended to protect. 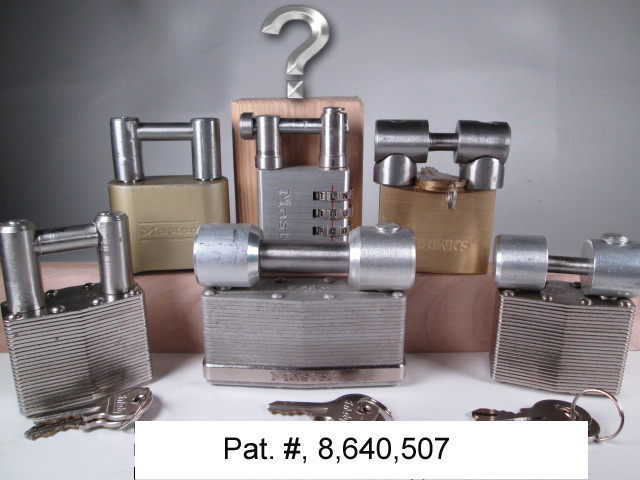 Clearly, a round shackle is different visually from one with eight sides, and perhaps that's a difference which means something to a padlock manufacturer. Or, more likely, they hope that it will distinguish their goods from their competitors', so that a consumer will see a lock with an eight-sided shackle hanging on a rack with all the round-shackled locks and say, "I like that company's locks, so I'll buy that one." 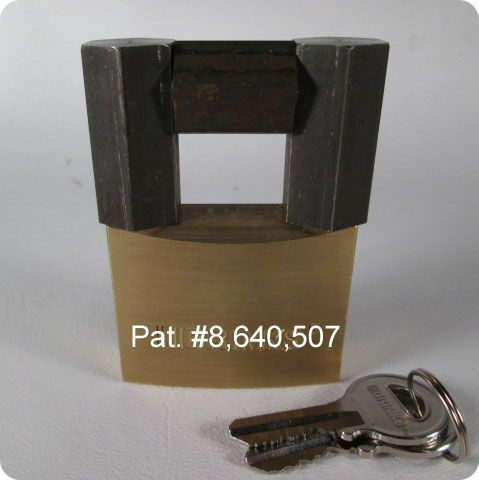 It's not unlike the differences in design of keys for locks - the punched rectangular top doesn't work any better than a round one, but it makes it instantly recognizable as a Kwikset. (Design patent and trade dress/product configuration protection kind of overlap, here) Design patents have their place in the general scheme of protection, but there's a reason why they're less expensive, shorter lived, and easier to get. They just cover a visual difference from what was done before, and for some people, that's enough. 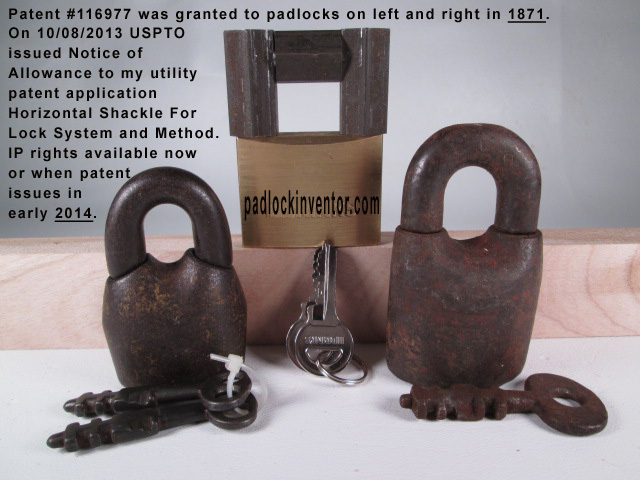 Free confidential assistance available to mechanically "improve" padlock patents belonging to others. If there is another way using fewer parts, not free. Acquisition rights available to investors, IP law firms, padlock distributors, patent assertion entity, lock companies or others interested in future rewards.